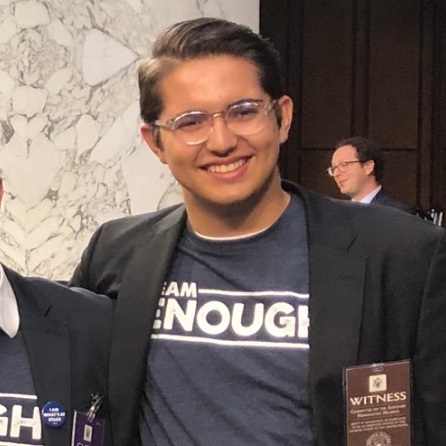 Robert Schentrup joined Team ENOUGH and Brady at the Senate Judiciary Committee’s confirmation hearings for Supreme Court nominee Brett Kavanaugh. We need to stop SB 7030, a dangerous bill to arm teachers that’s moving in the Florida state legislature. I don’t believe a teacher with a gun could have saved my sister’s life. Research shows adding guns to schools does NOT prevent gun violence. Our legislators are pushing SB 7030 without listening to students, teachers, parents, or survivors. They don’t have a realistic and thought-through plan on how to implement the guardian program, and they don’t even have a way for law enforcement to distinguish between shooter and an armed teacher. 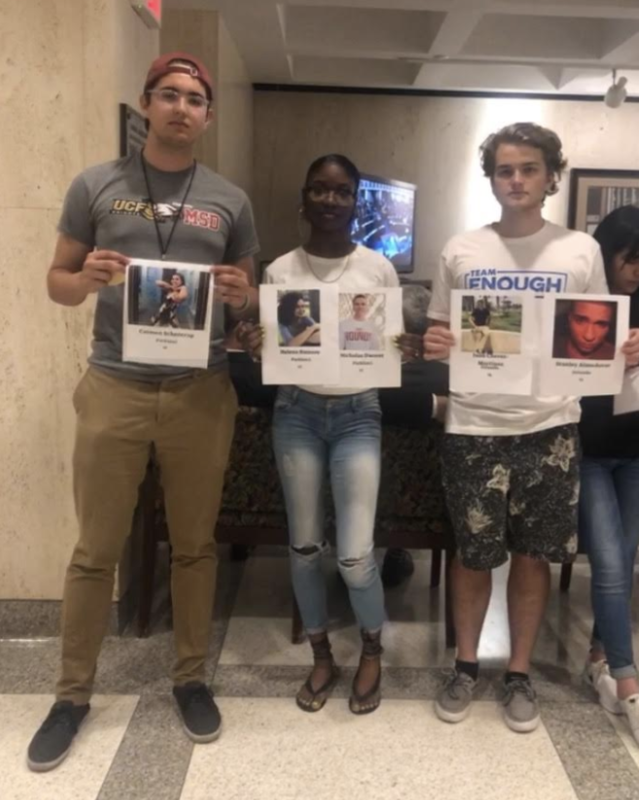 Robert joined Team ENOUGH members Aalayah Eastmond and Sam Sharf in visiting the Florida State Capitol to protest SB 7030 on arming teachers. He holds a photo of his sister, Carmen, who was killed in the Parkland shooting. Earlier this week, I joined other Florida students in storming the State Capitol in Tallahassee to protest SB 7030. As a result, the House delayed their vote. But this is just a pause, and the fight’s not over. We need to keep the pressure on and defeat this dangerous measure. Please send a message to all the state senators who are still debating if they should expand efforts to arm teachers in schools. We all know adding guns to the classroom isn’t a solution to gun violence. Students like me all over Florida need your immediate action.